Amazing - a portable shortwave set for the UK market! 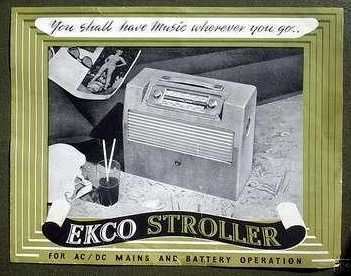 This is the first of the 'Stroller' series of portables by EK Cole - one of Britain's most successful radio manufacturers. It follows the pattern of many sets of the time its design and circuitry - only its inclusion of the SW band is unique. Some 5000 sets were made in a 'Model A' configuration which only had two frame aerials (SW and MW) whilst the later 'Model B' had a complement of three aerials - there were other minor electronic differences. 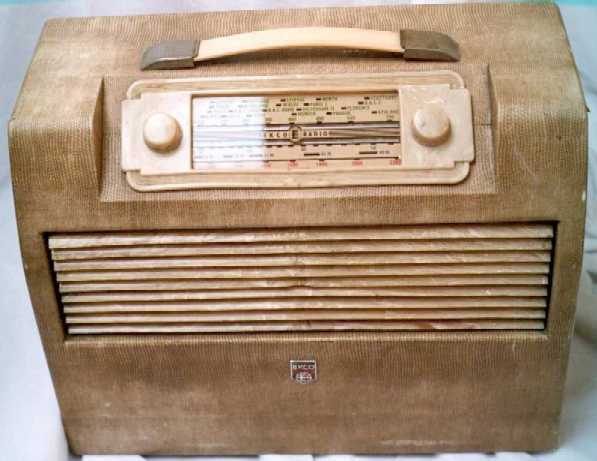 Interestingly enough, there were also two versions of this radio using different intermediate frequencies. The Northern England version has an IF of 460Kc/s (noted by a large 'N' stamped inside the case) whilst the version for Southern England has an IF of 455Kc/s.